“Get ready to hold on,” skipper Ayden Curic yelled from the bridge as he gunned the engines and the boat surged into the aquatic maelstrom. At the point where Western Australia’s second largest river, the Murchison, collides with the crashing breakers of the Indian ocean sits the quiet little town of Kalbarri. It is gateway to the eponymous and spectacular Kalbarri National Park, some 1,830 square kilometres of otherworldly wilderness featuring stunning coastal lookouts, breathtaking river gorges, and, when we visited in late August, more than its fair share of humpback whales. I’d been watching whales all week from splendidly named and even more splendidly appointed headlands and lookouts south of the town. Spots like Natural Bridge, Island Rock and Red Bluff offered the best land-based whale watching vantage points I’ve ever seen, complete with car-parks, public toilets, boardwalks and custom viewing areas. There were even benches to sit on, and the weather was warm and sunny pretty much all day, every day. It was a far cry from shore-based whale-watching in Ireland, which while equally as exciting, tends to be more unpredictable and a lot less comfortable. This was almost too easy. My wife spied the first humpback blow through the windscreen before we’d parked the car on our first visit to Red Bluff. Over the course of the next six days we watched literally dozens of humpbacks from these shore-based vantage points. 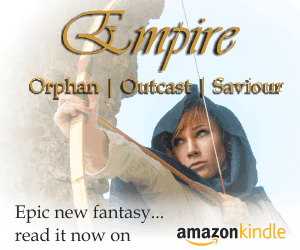 Sometimes far out, sometimes staggeringly close to the cliffs, and always thrilling. The whales were very active, and we witnessed a wide range of behaviour from spectacular breaching to fin-slapping, lob-tailing, fluking and more. Watching all of this from shore was incredible. 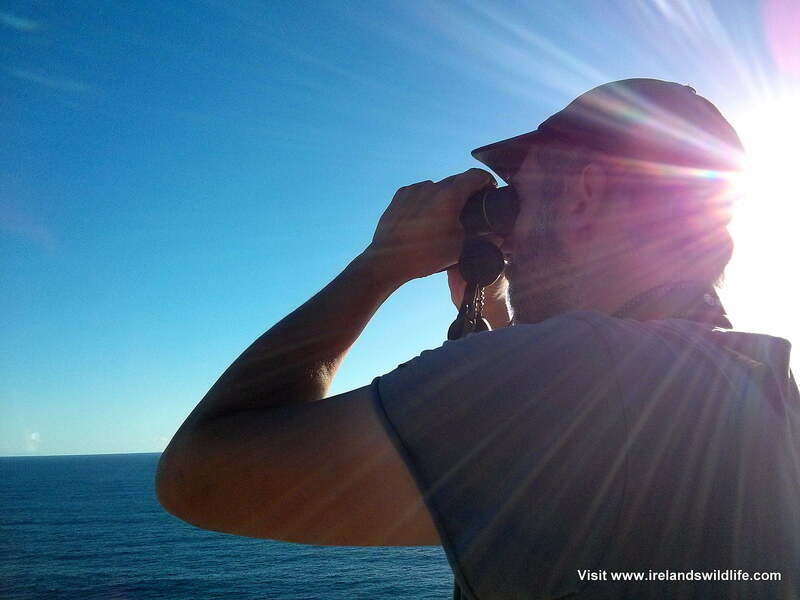 Having good optics helped of course, and the Vaguard Endeavor EDII binoculars I’ve been testing on this trip performed well – coping admirably with the harsh glare of a low Australian sun reflecting off the water. The views were superb, but I missed my spotting scope. With a good scope the spectacle from the cliffs south of Kalbarri would be outstanding! But no matter how good the display from the cliffs, or how good the optics, there really is no substitute for getting out on the water in amongst the whales. I was itching to get on a boat. That’s how we found ourselves aboard the 15 metre Reefwalker Charter vessel the “Ilse G” that Friday. It was our last day in Kalbarri before the long drive back to Perth, and with so many whales in the vicinity I was sure we’d be treated to some close encounters. After we boarded the boat Ayden gave an informative initial briefing covering safety and what to look out for once we got out on the water. Everyone aboard was offered an interpretive A4 sheet with details on the whales, their ecology, and tips on how to spot both humpbacks and the less common southern right whales that pass the Kalbarri coastline between June and mid-November. Before finding the whales though, we’d have to make our way out of the Murchison river into the open ocean. The narrow channel that serves as Kalbarri’s harbour entrance is, without doubt, the scariest looking harbour mouth I’ve ever seen. The merging waters create a roiling, unpredictable chop, and huge waves frequently crash over the seaward stone breakwater. It looked a complete nightmare. Aydan seemed unperturbed though. He’d obviously done this countless times before, and guided the boat through with practised ease. We held on tight, and after a short, bumpy and exciting ride through the white-water we were out in open water searching for cetaceans. We didn’t have long to wait. A small group of bottlenose dolphins cruising by for a closer look at the boat almost as soon as we got out of the river mouth. 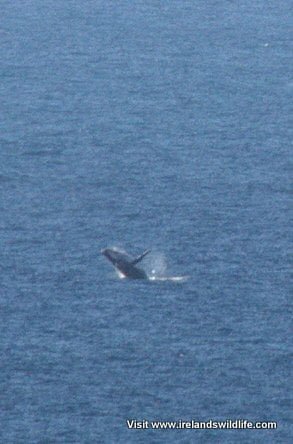 After watching them briefly we headed a bit further off shore in search of larger quarry, and within minutes we spotted the tell-tale blow of a humpback. As Aydan steered a course towards it we saw more of those characteristic short, bushy blows – there were at least three animals ahead of us. We approached slowly, and kept a respectful distance from the whales. They were moving quite quickly, travelling back and forth across the bay. It looked like the two animals to the rear were chasing the larger whale ahead of them. Ayden surmised that it was likely to be two male humpbacks following a female, and the explanation certainly seemed to fit the scene unfolding before us. Over the next half-hour or so we watched as the suitors pursued the seemingly disinterested female. 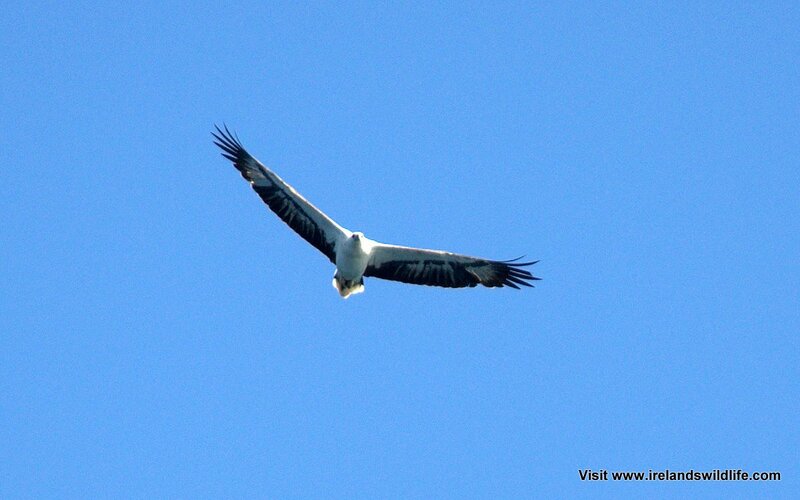 At times their antics brought them amazingly close to the boat, affording everyone aboard breathtaking views. In Australia there are strict regulations on approaching whales from the water and from the air. These were clearly outlined on the information sheets we’d been handed, and I have to say that Aydan adhered to them at all times, but of course when the whales choose to come closer of their own volition that’s a different matter. It’s always a real treat to see humpbacks in the wild, and doubly so to witness mature humpbacks exhibiting behaviour we never see off the Irish coast. In Ireland the whales come inshore to feed on sprat and herring. Feeding behaviour like lunge-feeding and bubble-netting is explosive and spectacular. Here in Australia whales are migrating to and from their feeding grounds in Antarctica and their equatorial breeding grounds, and they don’t feed while making that journey. After a while we left the humpbacks to their antics and went exploring up the coast. 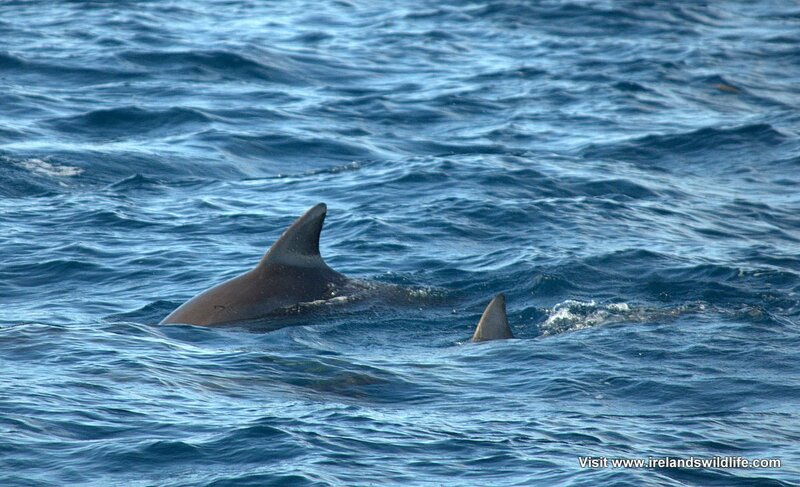 We didn’t connect with any more whales that trip, but did encounter more dolphins, a white-bellied sea eagle and plenty of seabirds. On the way back Ayden pulled in alongside a famous surfing break offering great views of local surfers catching the Indian Ocean breakers. It wasn’t perhaps what you’d expect on a whale watching cruise, but it was fantastic to see all the same. 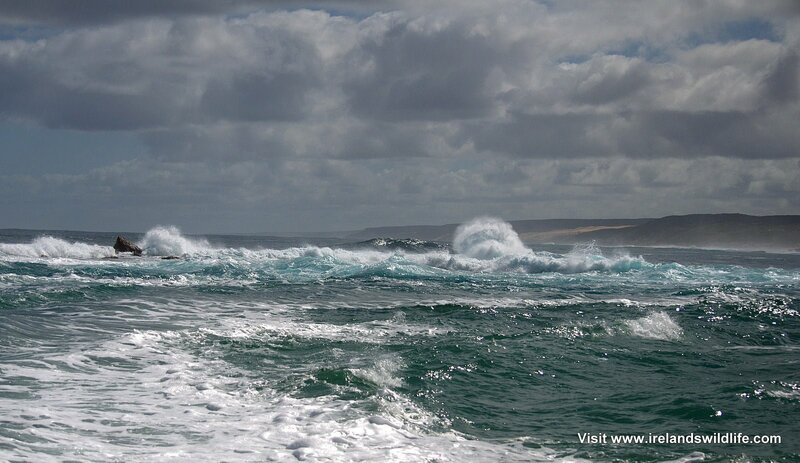 The journey back through the harbour mouth gave us another adrenelin rush before we disembarked. 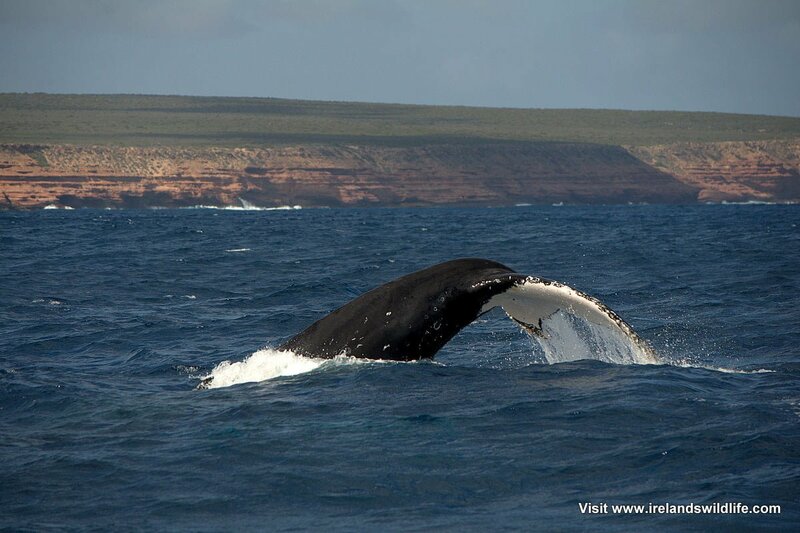 While the best whale watching trips I’ve ever done have still been off the coast of West Cork, Kalbarri is certainly amongst them… and is much more predictable. And when it comes to whale watching in Kalbarri, I’d heartily recommend a trip with Aydan and the team at Reefwalker Charters. 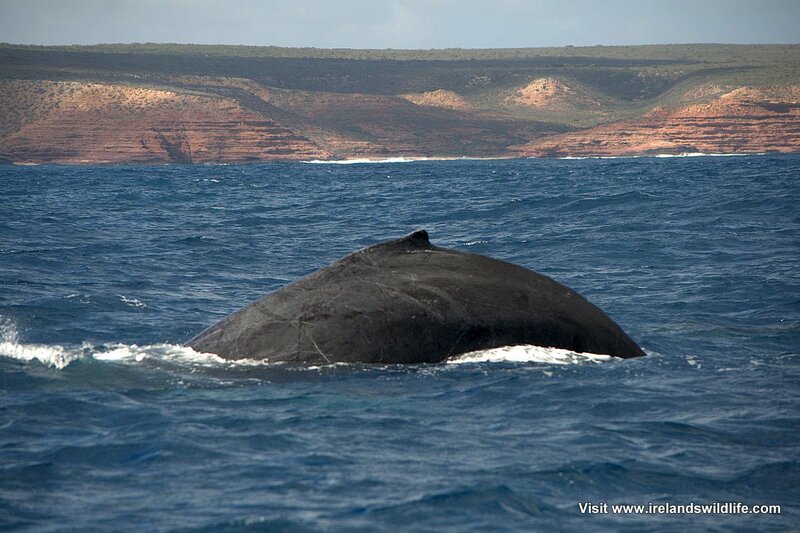 Whale watching season in Kalbarri runs from June to mid-November. 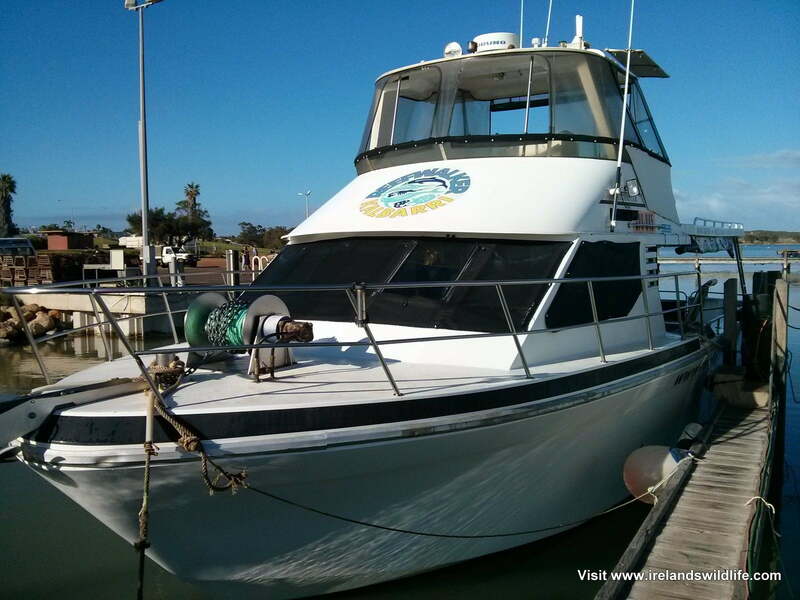 For more information check out the Reefwalker Charters website here.